Panasonic has launched the Lumix S series comprising of Lumix S1 and Lumix S1R with 24MP and 47.3MP full-frame CMOS sensor respectively, starting Rs 199,990 onwards. Panasonic Eluga Z1 Pro Review: Big battery, but can it stand out? The body-only models of Lumix S1 and Lumix S1R are priced at Rs 199,990 and Rs 299,990 respectively. Along with the 24-105mm F4 lens lens kit, the Lumix S1 and S1R prices rise to Rs 267,990 and Rs 367,990 respectively. 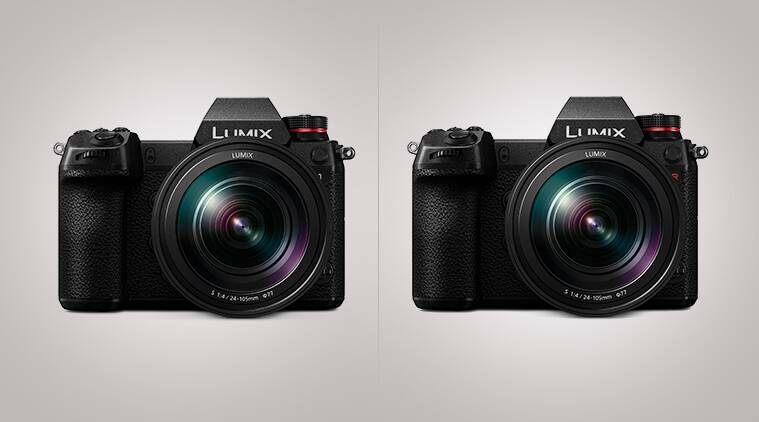 Panasonic has launched its full-frame mirrorless camera range, the Lumix S series in the Indian market comprising of two cameras, the Lumix S1 and Lumix S1R with 24MP and 47.3MP full-frame CMOS sensor respectively. The new S series is based on the L-Mount standard, which the company claims will provide an uncompromised imaging experience. The body-only models of Lumix S1 and Lumix S1R are priced at Rs 1,99,990 and Rs 2,99,990 respectively. Along with the 24-105mm F4 lens lens kit, the Lumix S1 and S1R prices rise to Rs 2,67,990 and Rs 3,67,990 respectively. Lumix S1 and S1R offer a high-speed, high-precision AF system based on advanced control technology over the lens, the sensor, and the new ‘Venus Engine’ enable the user to capture the target in sharp focus without fail. “The new Full-Frame Mirrorless Lumix S series, boasts intuitive control, a rugged design for heavy field use, durability, and expandability, suitable for professional photography and videography.” Sandeep Sehgal, Business Chief, Panasonic India said in a statement. Panasonic said that the Lumix S Series aims for unprecedented image quality with high resolution mode for the first time in mirrorless full-frame, industry-leading video recording performance (4K 60p/50p* 1 ), the most effective image stabilization, rich gradation and superior color reproduction. Both the Lumix S1 and Lumix S1R feature a High Resolution mode for the first time in a mirrorless full-frame camera to enable 96MP and 187MP ultra-high precision photo with a pixel shift technology shooting. Priyanka Chaturvedi exits Congress WhatsApp groups. Has she quit the party too? As mentioned, both the Lumix S-series cameras are based on L-mount standard, which is basically an alliance between Panasonic, Leica and Sigma. The alliance will allow photographers to ‘mix and match’ any of the three manufacturers’ APS-C and full-frame cameras with any lens from each other’s product portfolios providing customers with a diverse and future-proof range of products. Panasonic said that together with Leica and Sigma, there will be 42 more lenses available for L mount series over the next 2 years. Presently, there are three new lenses on offer from Panasonic – the Lumix S Pro 50mm F1.4, Lumix S Pro 70-200mm F4.0 O.I.S. and Lumix S 24-105mm F4.0 Macro O.I.S.